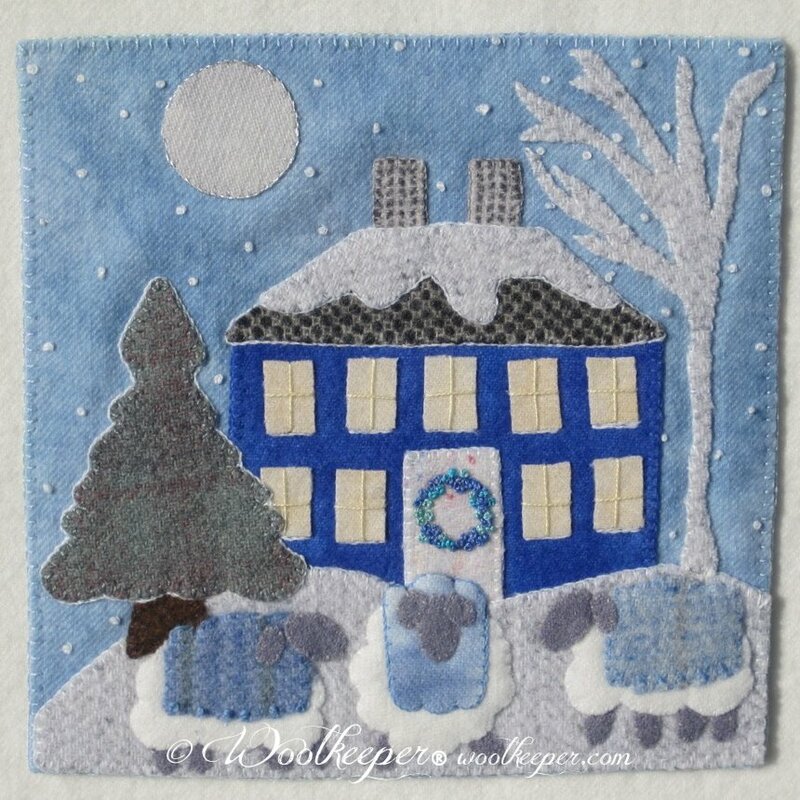 Blanket weather is the first piece in Woolkeeper’s 8” x 8” Banner series. 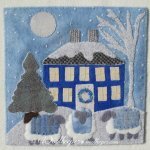 This winter wonderland features beautiful hand dyed blue wools and lovely embroidery embellishments. Thread for the wreath is Eleganza Pearl Cotton EZM 19 and is available for purchase on the site in the Thread category.